Some moms say the hour before supper is the worst one of the day. I agree. Sometimes. Sometimes though - many days in fact, I find the hour after supper and before bedtime to be the most intense and the most draining. And the one I'm not too sure I'm going to make it through this time after all. As I look at the table full of food to be put away and dishes to be washed, the kitchen counters piled high with dishes from another hasty meal preparation, a full dishwasher, the toys scattered throughout the house, and laundry piles in need of folding, I feel my last energy reserves fading away rapidly. As I consider the intense game of bedtime tug-of-war that will play out between children and parents over the next hour, I am nearly overcome with exhaustion. How will I make it through the next hour or two? Who knew that each day could bring such an intense weariness that no amount of sleep could really erase? My respect for single parents knows no bounds. At the bedtime hour I think of single parents and hope they have support when they most need it. Many times I feel sure I would be an institutionalized mental wreck if I were to be a single parent. I shudder to think of any possibility of it becoming my reality. And I pray for those for whom it is reality. I remember also those weeks when Kev was too sick to help with the children. How well I remember the dreaded bedtime hour then too. And yet, in that exhausted state, God's grace is able to shine in my life most brightly of all. It is there at that junction of human exhaustion and complete, utter dependence on God's grace that I am able to once again make it to the other side of the bedtime hour - still alive, still kicking, and more than that - triumphant! 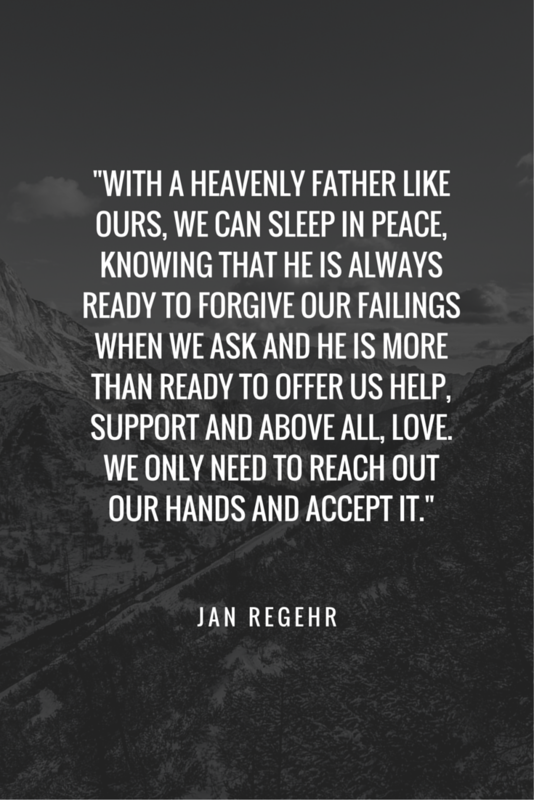 And yet even as I have regrets and ask God for His forgiveness one more time, I remember His vast love for me, that He has promised to be there with me, that my Christian life is not graded by my own limited human concept of winning and loss but rather I am reminded that God takes a look inside our hearts and weighs our thoughts and our intents. On one side of the balance He places our mindless weakness for checking our cell phones and getting caught up in the online world repetitively, our indifference to getting to bed at a reasonable time, our resistance to the Holy Spirit's whispers, our pride, fear and lack of trust and our careless approach to Bible study and prayer. 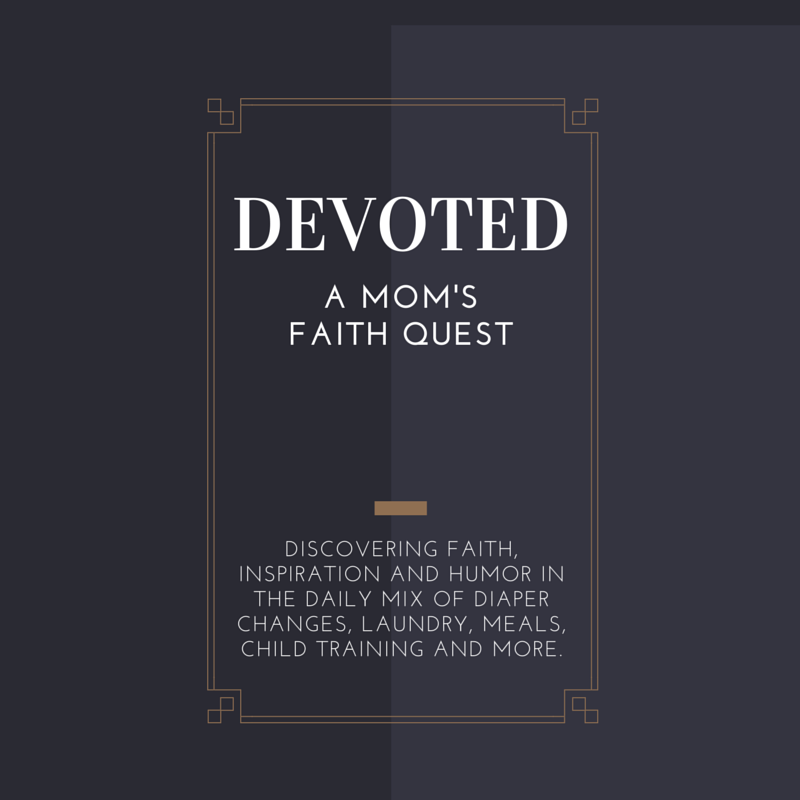 On the other side of the balance He places our lack of sleep and support, stress levels, our faith and trust in Him, our human frailties, our desire to parent well, our love for our children, our best efforts, our limited understanding, our newly-acquired parenting skills, and our Christian immaturity. And there, on that scale of absolute accuracy, our thoughts and intents are clearly evaluated. No part of our lives, the worst thoughts or the best intentions, are left out of the equation. How blessed we are to know that the judge of our lives is as absolutely fair as He is thorough. And not only that, isn't it incredible that we have a Heavenly Father, our judge, who is more loving than the most loving human parent that ever lived or that your wildest imaginings could produce? 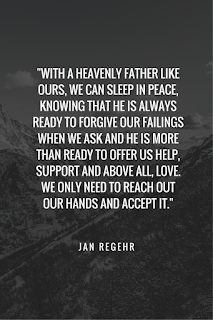 With a Heavenly Father like that, we can sleep in peace, knowing that He is always ready to forgive our failings when we ask and is more than ready to offer us help, support and above all, love; we only need to reach out our hands and accept it.